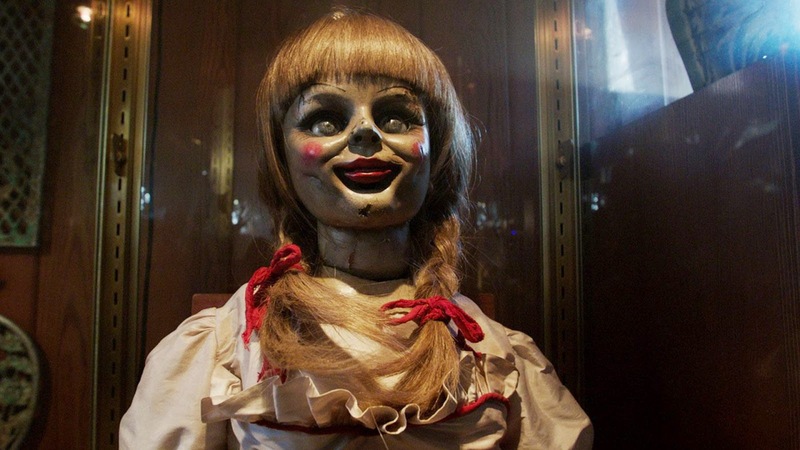 With the release of the movie 'Annabelle' this month, it seemed like a good time to look at the names of some of the spookiest real and fictional dolls. They're a surprising mix of classic names and familiar nicknames, with some very non-scary meanings! So do their spooky namesakes make these names un-usable? You decide. Think of Annabelle in the same way as Amity – a very pretty, feminine name that just happens to be associated with a scary story made into a horror movie. 'Annabelle' is based on the true story of a doll possessed by an evil spirit who terrorises her owners until being locked away by paranormal investigators Ed and Lorraine Warren. In the movie, Annabelle is a menacing looking blonde doll, however the real Annabelle is actually a Raggedy Ann doll. Annabelle is her real name though, likely chosen because of the type of doll she is. The origin of the name Annabelle is not clear. It's possible she is an elaboration of French name Amabel, meaning 'lovable'. Or perhaps it is a combination of Anna (meaning 'grace') and Belle (meaning 'beautiful'). Annabelle has been rocketing up the US charts – breaking into the top 1000 in 1995 and reaching #81 in 2013. Let's see if the movie does anything to stall this. You may not be familiar with the 2007 horror 'Dead Silence' starring Ryan Kwanten and directed by the man behind 'The Conjuring', James Wan. The evil entity in this movie was the ghost of a ventriloquist named Mary Shaw. She had no children, but her love for her collection of 101 dolls (mainly ventriloquist dummies) was well known. Billy was her favourite, and in death she uses him to carry out some pretty grisly murders. Billy is one of the original nickname-come-given names, starting as a nickname for William (meaning 'resolute protector') but becoming very popular in his own right. He may not be the height of fashion, but he is never out of style, being a constant entry in the top 1000. Variant spelling Billie is the preferred option for girls. Mention the term “evil doll” and this famous movie doll is bound to be the first on everyone's lips. Chucky is the iconic bad guy of the 'Child's Play' movies – a talking doll given to a boy for his birthday who just happens to be possessed by the soul of a serial killer. 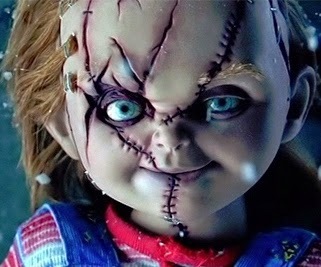 The character was reportedly inspired by Hasbro's My Buddy dolls, and his full name – Charles Lee Ray – derived from famous killers Charles Manson, Lee Harvey Oswald and James Earl Ray. Chucky is a form of Chuck, a nickname for the classic and popular Charles, and all mean 'free man'. Chucky is the least popular of the three, managing to sound immature and threatening at the same time. This is another real-life scary doll. Joliet has been passed down through four generations within the one family. She is said to be cursed, causing the sons born to the female owners to die when they are three days old. The family also claims to have heard giggles, screams and cries coming from the doll. Joliet (pronounced JHOW-lee-eht) comes from the French word jolie, meaning 'pretty'. It's only been getting use in the U.S in the last 15 years, and only for very few girls. This seems almost surprising for a name so close to the classic Juliet, and with such a positive meaning. But the word takes on a very different meaning for most Americans, primarily associated with Joliet Prison in Joliet, Illinois. It may be hard to hear the name Mandy without thinking of the Barry Manilow song, but Mandy is also the name of a porcelain baby doll who resides in the Quesnel Museum in British Columbia. She is said to be the cause of the mysterious disapperances and reappearances of lunches and stationery and footsteps when no one is around. Mandy can't be placed with other dolls as she hurts them. She also likes to cause trouble with cameras when people try to photograph her. Mandy has been a constant presence in the U.S girls charts, although in 2013 was at her lowest rank ever; #2234. It originated as a nickname for Amanda, meaning 'worthy of love' or 'lovable'. She has a friendly, popular girl vibe, but has gotten a reputation among many as a “trashy” name. Mandy is the first name mentioned in the 2012 movie 'Ted' when Mark Wahlbergs' character is trying to guess the “white trash name” of Ted's new girlfriend. Another haunted doll that causes trouble with photographic equipment is perhaps America's most famous scary doll, Robert. He can be seen at the Fort East Martello Museum in Key West. People must ask his permission before photographing or filming Robert (which he grants by tilting his head) or he will curse them. The curse can however be lifted by begging Robert for forgiveness. The doll himself was a cursed gift from a disgruntled maid to a boy named Robert. He caused the family a lot of trouble, moving furniture and scaring his owner during the night. Reportedly Robert moved on his own, could be heard talking and giggling, and even changed expressions. Robert is a well known name of German origin, meaning 'famed; bright and shining'. It was introduced to England by the Normans and has been in use ever since. Robert is also quite popular – it has never been out of the U.S top 100 since 1880. Some may say this makes for a boring and over-used name, but to others it is simply classic and handsome.